Perhaps emboldened by the approaching unstoppable robotic power of Ultron, ABC has decided to dust off BattleBots and bring it back to smashing, buzzing, whirring life. The robotic combat show last aired new episodes in 2002, when its five-season run on Comedy Central concluded. The 2.0 version will feature some notable changes to the BattleBots formula, including the removal of weight class divisions, presumably because robots hate a fair fight. 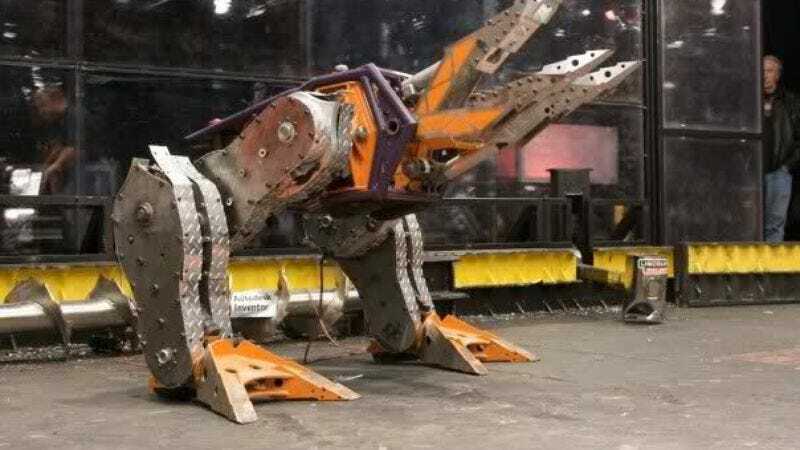 The reboot will also place more emphasis on the people behind the buzzsaw-wielding robots, documenting the teams as they bring their creations to life. (If fans of the original BattleBots had a chief complaint, it was all that gratuitous robot-on-robot violence crowding out the human drama.) Championship rounds will promise cash prizes to the winning teams, which could help offset the financial burden of future projects, like building an entire army of remote-controlled killing machines. BattleBots has been greenlit for six episodes, which are scheduled to air this summer on ABC.